The London based Smart Mobility Living Lab has received government funding for the TRL led consortium for smart, connected, autonomous mobility. 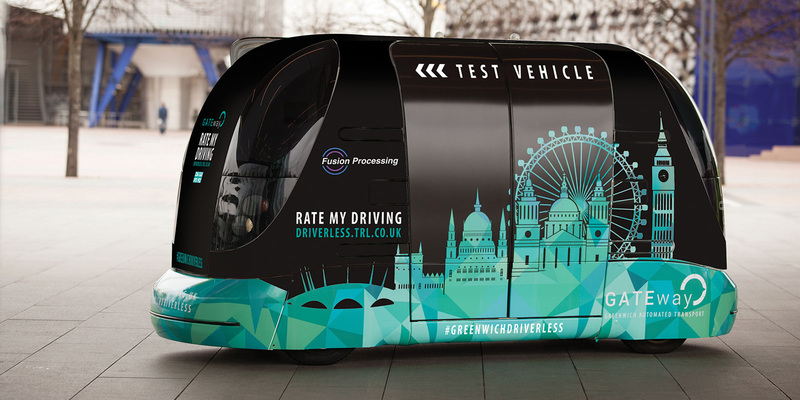 A consortium led by TRL has been awarded £13.4m of the government’s £51m Connected and Autonomous Vehicle (CAV) test bed funding to create a world-leading, real-world test environment in London for the development of future mobility. The initial round of funding is part of the £100m UK CAV test bed competitive fund and is the first investment by government and industry through Meridian to develop a coordinated national platform of CAV testing infrastructure. The consortium comprises world-leading expertise from across the transport and technology sectors, including TRL, DG Cities, Cisco, Costain, Cubic, Loughborough University, Transport for London and the London Legacy Development Corporation. Delivery partners include Millbrook Proving Ground and the University of Surrey’s 5G Innovation Centre. The ambitious project will see the creation of a Smart Mobility Living Lab (SMLL) in London, based in the Royal Borough of Greenwich and nearby Queen Elizabeth Olympic Park in Stratford. The Smart Mobility Living Lab: London will provide a real-world urban test bed in a complex public environment, capable of demonstrating and evaluating the use, performance and benefits of CAV technology and mobility services in an accessible and globally recognisable context. The Living Lab will be designed to operate as an open innovation environment where innovators in the automotive sector, transport service and technology providers, SMEs, local and central government and research bodies, can come together to exchange ideas and develop technical and business solutions for the future development of smart mobility solutions. Paul Zanelli, Director, Engineering & Technology at TRL, explained: “Users of the SMLL will be able to collaboratively or independently test their ideas, technology and services in a real-world environment. This exciting project will see us working closely with industry to develop the evidence case for bringing new products and services to market, and with local and national governments to address the challenges and opportunities of future mobility. This will ensure we gain the benefits and minimise the pain of change. Located in London, the SMLL will have access to a critical mass of entrepreneurial talent in all the relevant sectors, from science and engineering to digital, media, insurance and the financial markets. Rob Wallis, CEO, TRL, commented: “For TRL and its consortium partners, the SMLL provides a unique facility to respond to the rapidly evolving and challenging developments in new mobility solutions. “This UK Government funding, complemented by industry investment, establishes an integrated eco-system of real-world CAV testing capability, positioning the UK as a leader in CAV technologies and mobility services worldwide. The SMLL adds to TRL’s growing programme of innovation into future transport and mobility solutions, focused on highly-automated, self-driving vehicles, intelligent, connected infrastructure and vehicles, low carbon technologies and electrification and shared mobility services. Together with its partners, TRL has an active portfolio of autonomous, connected, electric and shared mobility projects totalling in excess of £70m. These include the recently awarded UK HGV platooning project, GATEway, MOVE_UK, Atlas, Driven, Streetwise, Merge Greenwich and DRAGON.